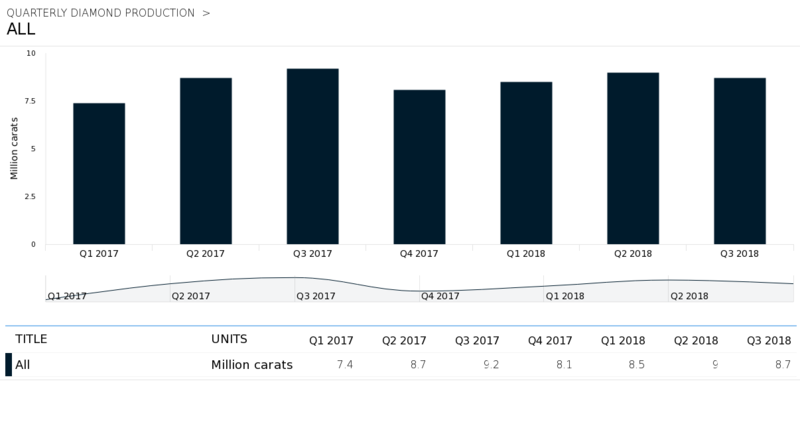 Anglo American’s De Beers, the world’s top diamond producer by value, saw rough diamond production decrease by 5% to 8.7-million carats in the quarter ended Sept. 30, mainly due to planned volume reductions in Botswana and South Africa. Output fell by 6% to 5.7 million carats in Botswana as a result of the planned processing of lower-grade material at the Jwaneng mine. Production at Orapa remained in line with that of the third quarter of 2017 at 2.6 million carats. Namibian production was flat at 460,000 carats, while in South Africa, output fell 14% to 1.3 million carats. This was due to a scheduled shutdown at Venetia to upgrade its processing plant ahead of the mine’s transition to underground operations. In Canada, production increased by 5% to 1.2-million carats, driven by higher grades at the Victor mine, which will close next year. 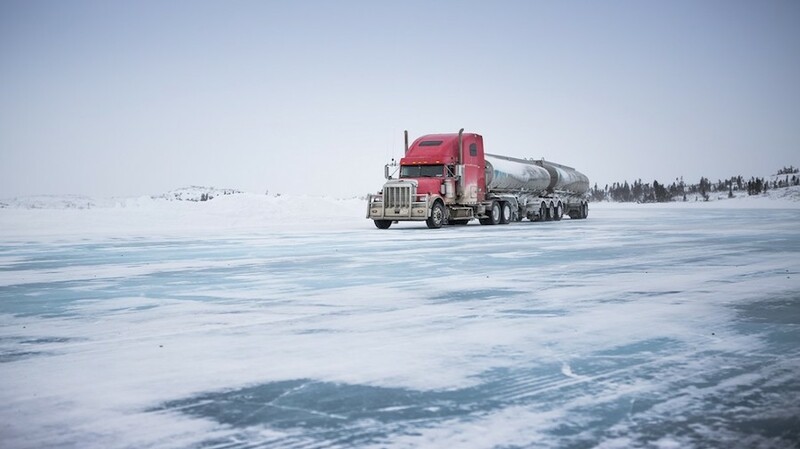 Its Gahcho Kué joint venture with Mountain Province Diamonds’ (TSX: MPVD) registered production in line with that of the third quarter last year. While De Beers’ rough sales volumes were down, the company maintained its full-year production guidance of between 34 to 36 million carats, saying it expected it to be at the higher end of the range. Experts attributed the drop in sales to the company’s recent strategy change, which saw it letting customers delay the acquisition of smaller stones (De Beers is known for requiring buyers to take what’s offered). The last time it had done something similar, was two years ago, when India’s move to ban high-value currency notes pushed down demand.